The Smith family in DeWitt has endured more than its share of challenging circumstances. But having access to an online charter school has been a great help. During a single week in 2007, Sandy Smith was diagnosed with breast cancer and her son Andrew was diagnosed with terminal brain cancer. After Andrew passed away at eight years old, the Smiths enrolled their two surviving children in a cyber school. “We thought this would be a great opportunity, a great fit for us, because we could take it with us wherever we were going, we would have teachers involved, and we’d know our kids are doing okay,” Smith said. Cyber schools are independent entities that deliver most or all of their program to students through online distance learning. In 2012 the Legislature raised a very tight cap to allow up to 2 percent of the state’s public school population to enroll in a cyber school. One son has graduated, but the Smiths’ daughter is in her senior year at Great Lakes Cyber Academy. According to her mom, she has thrived in the online education setting since she started it in sixth grade. Teachers have helped her grow in her learning and overcome her difficulties with test taking, resulting in a 4.0 grade-point average. Within the past year, the flexibility of the online school has proven a great boon to the Smith family. Father and daughter traveled to Eastern Europe for a mission trip, where she was able to keep up with her coursework. And recent health struggles that have included hospitalization have not slowed her down, either. She has not only kept up with but accelerated her studies when she’s feeling well, which often is not during the regular hours of a traditional school. "If we were not able to continue in the online school that she's studying in now, she would probably have too many absences to be able to finish the year," said her mom. In a number of states, online education options have come under scrutiny from critics for subpar test scores. Michigan has bucked the trend, as cyber schools here have outperformed their peers in other states. Defenders of virtual education attribute at least some of the negative numbers to the fact these schools often serve many low-income students. That assessment holds up in Michigan, according to the Mackinac Center’s recently released Public High School Context and Performance Report Card. 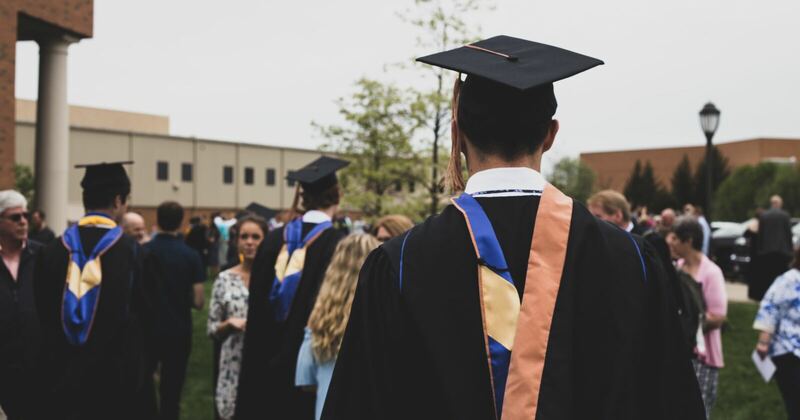 The study found most of the seven cyber schools achieved results in line with their expected performance when student demographics are taken into account, with one high-achieving exception and one low-achieving exception. One cyber school identified with average performance on the Mackinac Center report card, the Michigan Virtual Charter Academy, narrowly missed finishing in the bottom 5 percent of the state’s official rankings for the third straight year. That would have placed nearly 3,000 students in jeopardy of having their school shut down, even though it’s performing just fine when student poverty rates are considered. Not to mention that the virtual option works very well for some families. That’s something for Michigan lawmakers to take into account as they look to create a more balanced and parent-friendly school accountability system.